During the workshops, girls in each school elect a Girls Support Committee (GSC) with 5-15 members. Every month GSC holds a meeting with their mentor where they discuss issues that arise in their school and community and solutions. The Committee’s role is to address issues like bullying or discrimination in schools and prevent child marriages and other risks. In 2016, our GSCs, guided by the mentors, worked with women’s groups in their villages to identify biggest needs in their communities that affect health and safety. 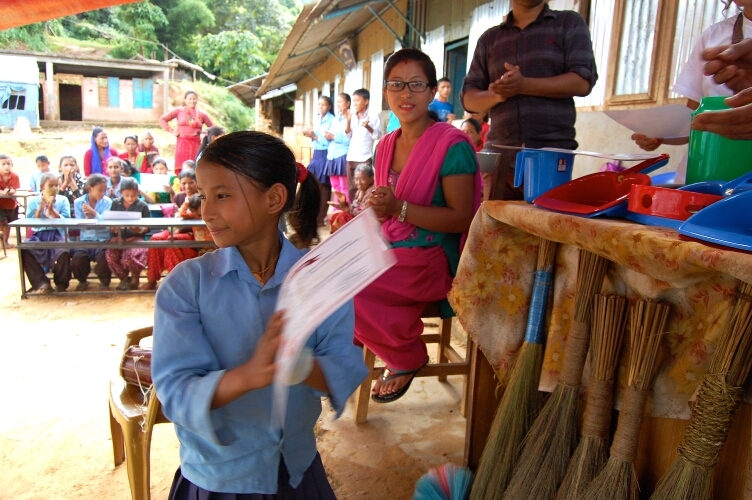 Together, they then utilized grants provided by Hamro Palo to address those needs.